During the summer, you can’t afford to waste a lot of water with your lawn sprinklers in Arlington. Not only is water hard to come by during the hot summer months, watering your lawn incorrectly is also a good way to waste a lot of money. Have your Hydro-Tech irrigation systems installed by a company who knows how to make the most out of your sprinklers, and learn how to save water throughout the summer. There are many ways to keep your soil moist for a longer period of time. One of the reasons most lawns get so brown and dry during the summer is because the soil is unable to retain water long enough to be any good to the grass. One way to help your soil retain moisture is by adding a layer of mulch or compost. This slows down the evaporation process, so water has time to make it into your grass. Trimming your grass too short is another way to speed up evaporation. When you mow your lawn, don’t set your mower on the lowest setting. 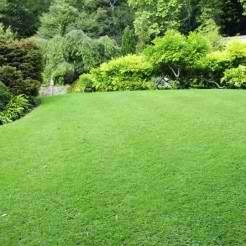 Leaving your grass a little bit longer will help shade the soil and roots from the sun. This also helps discourage the growth of weeds in your yard. If you want a bigger project, you can also help shade your soil by planting trees around your property. Shade-producing trees can help shelter your yard against the sun and give you a green, luscious lawn all summer long. Although your Lawn Sprinklers Arlington will do most of the work for you, you still need to know how to properly water your lawn for it to be most effective. Don’t water in the heat of the day, or the water will evaporate before it can have any effect on your grass. The best time to water is in the morning, when it’s not too windy. Once in a while, go out and inspect your yard as the sprinklers are running. Watch for any areas that are receiving too much or too little water, or sprinklers that are wasting water on your driveway or sidewalk. Your sprinkler company can help you fine-tune your sprinklers so that water is concentrated where it’s really needed.